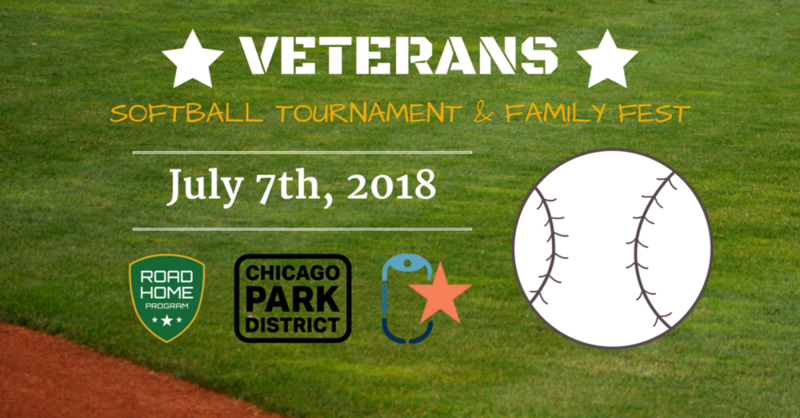 Join Warrior Summit Coalition, Rush Road Home and Chicago Park District for our 7th Annual Veteran Softball Tournament and Family Fest. To play on Warrior Summit Coalition's Softball Team for the Veteran Softball Tournament please fill out the form below. Thank you! Your registration has been completed. We will be in touch shortly. To Register Your Own Team Click Here! A new 16-inch softball will be used at the start of every game. The ball will be broken in and made softer throughout the game. No gloves are allowed by the fielders, who must retrieve the ball with their bare hands. Only female athletes are allowed to wear gloves. Softball bats, not baseball bats, are allowed in the games. Softball bats are shorter (usually about an inch less in length) and have barrels with a smaller diameter. 16-inch softball is played on fields of different length depending on the league. For men, the dimensions of the field are 60 feet in between in each base. Runners cannot steal a base, but they will be allowed to take a lead as soon as the ball leaves the pitcher’s hand and toward the plate. If the lead is too long, catchers can throw the ball toward the base the runners to tag them out. Full swings must be taken at the plate. In other words, no one is allowed to bunt. The construction of the batting order is generally dependent on the specific league the softball is being played in, but for co-ed leagues, the batting order must rotate between a boy and a girl. Games usually last 7 innings or 1 hour, whichever occurs first. For additional questions regarding the rules of play, please contact Maribel or Andrew at the Chicago Park District at (312) 745-2062 and (312) 745-2172.